Water leaks need to be found and repaired as soon as possible. Leaks that go undetected or ignored can cause extensive water damage and become much more costly if not addressed in a timely manner. If you have a water line leak you need to find the leak and repair it fast. When the leak is underground or behind a wall, you need an experienced technician with the right leak detection equipment to find and fix your plumbing leak. Big swings in the temperature in Utah from freezing to thawing can cause the soil to crack, sink and shift putting pressure on water lines. Older water lines and water pipes sooner or later can weaken or get damaged. Copper pipes, CPVC, polybutylene or blue pipes, are just some examples of water lines that can leak and need replacement. Some materials used in the past like polybutylene have a bad reputation for leaking and there have even been class action lawsuits against polybutylene. Chlorine in the water may erode or weaken the connections or joining pipes. 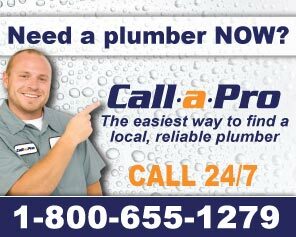 You will need to replace polybutylene pipes, older galvanized pipes and damaged pipes. Sometimes a complete repipe of the home is needed since there is likely to be other leaks. A water leak can be obvious if your basement is flooded or an exposed pipe is leaking out water. When you don't see a water leak, how would you know if you have a hidden leak?. Sometimes it can go on for a long time before you notice anything wrong. For example, if you suddenly notice a much higher water bill for no apparent reason. Even a leaking toilet can run up your water bill. Is your water pressure low? If you notice a pool of water in your yard when it has not rained, there could be an underground leak near your water meter.